The art of fly tying is just that; Art. Each crafted fly, in it’s true essence, is an impressionistic sculpture where form and function are joined in a spiritual union. While the average fly tier may be unaware of Louis Sullivan’s axiom “form follows function” and Frank Lloyd Wright’s belief that “form and function are one” — as crafters of fur, feather and artificial materials, we deal with these lofty conceptual equations each time we sit at the vise. In fact, the steelhead angler constructing an Intruder, who overlaps flat planes to define delineated shapes, is theoretically bucking the trends of Suprematism and Constructivism as Kandinsky did. By comparison, Kandinsky’s most poignant work, Composition 8, is described by art historians as colorful, interactive geometric forms that create a pulsating surface that is alternately dynamic and calm, aggressive and quiet. Now, call me silly, but that sure sounds like the description of an Intruder fly to me. Despite all the similarities in process, creativity and challenge, it is highly unlikely, ergo implausible, that you’ll ever see a one-man fly tying show at the Guggenheim. Not because the difficulty or merits of the art are sub par, but I doubt a curator has ever sat down at a vice or swung a fly. Degas (the famous 19th century impressionist) once remarked, “If painting weren’t difficult, it wouldn’t be so fun.” For many fly tiers, the same could be said about the challenges of designing and creating a fly. When I began tying flies over twenty years ago, you could walk in most any fly shop and pick up a dozen trout flies for around $12. Today, you can still get a dozen commercial flies for that same $12 online and $18-$20 locally tied flies in most shops. 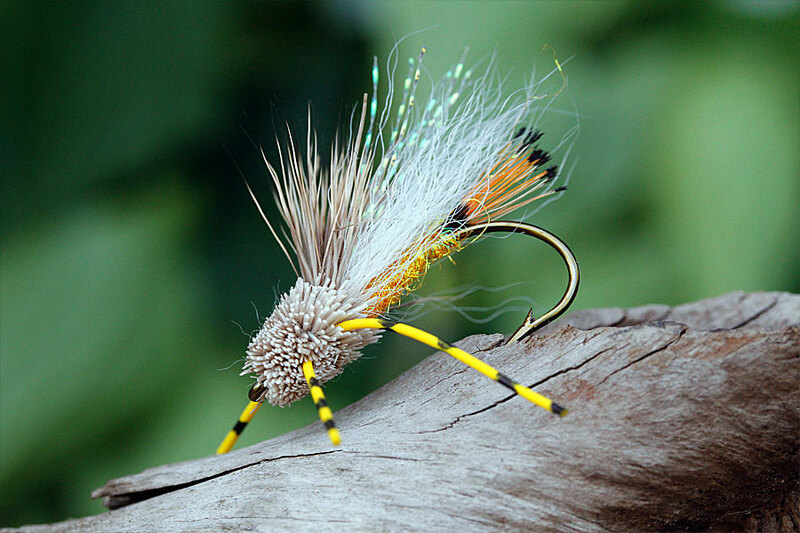 If you are purchasing large flies for big predatory fish, the bargain shopper can buy articulated streamers and complex steelhead flies for less than $3 each. As such, the financial life of a fly tier varies little from the majority of those that dedicate themselves to other any other artistic medium. When you walk into a fly shop and stare down at the compartments of wonderful, sparkling sculptures, somewhere in this world is an artisan that is crafting fur and feather simply out of passion. To that end; buy local, buy often, buy hand-hand tied, and support your artisans.